Tiffani Bova is the global customer growth and innovation evangelist at Salesforce. Recognized in 2014 as one of the most Powerful and Influential Women in California by the National Diversity Council, Top 50 Marketing Thought Leaders by Brand Quarterly Magazine in 2016 and Inc. Magazine's 37 Sales Experts You Need to Follow on Twitter and a Top Sales Influencer on LinkedIn. As a research fellow and former lead analyst at Gartner covering global channel transformation and strategy, Bova has been recognized for her cutting edge analysis and her skill at inventing bold strategies for growth. Bova has also been recognized as a leading channel chief from 2000-2006. She currently sits on The Women in Channel advisory board as well at the Association of Strategic Alliance Professionals (ASAP) Board of Directors. 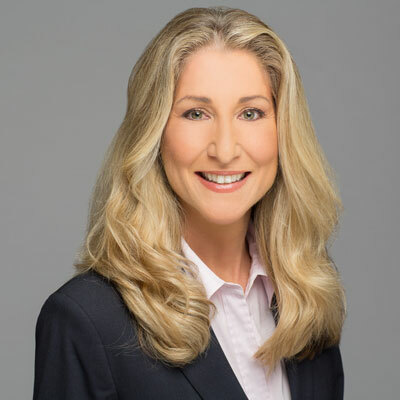 While Tiffani is no longer a 'channel chief' she has been instrumental in helping guide go-to-market strategy and product enhancements for Salesforce's Partner Relationship Management product, Partner Community. She still remains a forward looking voice in the channel representing Salesforce at industry events, partner conferences, and on podcasts. She frequently advises Salesforce customers on how best to enhance their channel programs with the advancements of technology. Salesforce's channel business goal next year is to ensure our leading Partner ecosystem accelerates customer success by amplifying and extending our Industry capabilities and tailoring approaches that meet customers' unique needs. In every industry, we're seeing digitally native companies eroding the market share and profits that incumbents spent many decades building. And it is happening incredibly fast. Salesforce is cultivating and growing an ecosystem of ISV and SI partners for each industry (called Fullforce Solutions) that build industry-specific solutions on the Salesforce Platform. Arianna Huffington. At various stages of her life she has been able to adapt and build a personal brand and platform which transcends generations and interests. Plus, she has been amazingly supportive of me over many years. While you may think you have a lifetime ahead of you....it goes faster than you think. Make each day count. "If" is the operative word here....Finance has always been an area of business I wish I felt more confident about. But thankfully there are people who love numbers that can support me.